Earlier this month, Xiaomi launched two new Redmi smartphones with MediaTek chipsets in China. While the Redmi 6 came with Helio P22 octa-core processor, the Redmi 6A is backed by Helio A22 quad-core processor. Both the devices came with 18:9 displays without any notch. 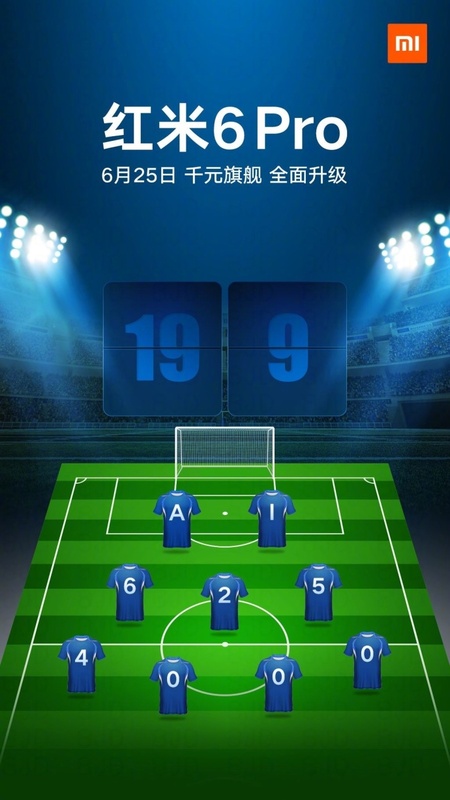 Today, the company has officially confirmed to launch the Redmi 6 Pro smartphone on June 25th in China. On the same day, the company is also going to unveil the new Mi Pad 4 Android tablet. The Redmi 6 Pro will be company’s first Redmi smartphone to come with a notch display. Earlier to this, it has only launched the Mi 8 and Mi 8 SE smartphones with notch display. The company has officially confirmed the device come with 19:9 display, Snapdragon 625 processor, and a 4,000mAh battery. We expect the Redmi 6 Pro to be the same device with the model number M1804C3CE that got certified by TENAA. According to the listing, the Redmi 6 Pro will be offering a 5.84-inch display with Full HD+ (2280 × 1080 pixels) resolution and 19:9 aspect ratio. However, the device sports relatively thicker bezels on all four sides. Just like other two newly launched Redmi 6 devices, the Redmi 6 Pro might also come with MIUI 10 out of the box. It will be available 2GB, 3GB, and 4GB RAM variants with 16GB, 32GB, and 64GB of internal storage respectively. There is also a MicroSD card slot for expanding the storage up to 256GB. In terms of optics, the Redmi 6 Pro sports 12MP dual rear cameras and a 5MP single front camera. While the Redmi 6 Pro is backed by a 4,000mAh battery, it might not support fast charging. Connectivity options include 4G LTE, Wi-Fi, Bluetooth, GPS, IR Blaster, 3.5mm audio jack, and a MicroUSB 2.0 port. There is also a circular fingerprint placed on the rear of the device. 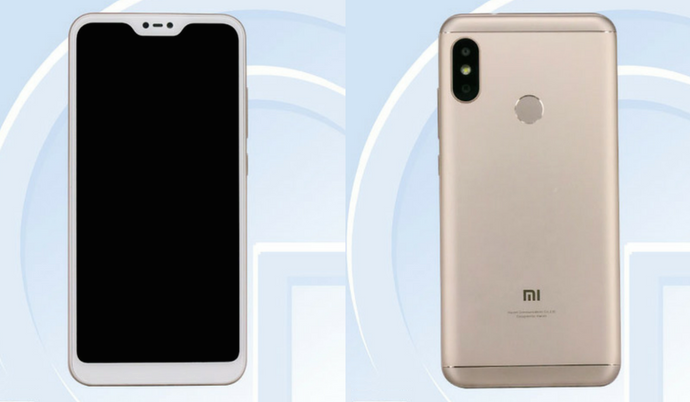 From the rear, the device looks exactly similar to the Redmi Note 5 Pro. While the power button and volume rocker are placed on the right edge, the SIM card can be found on the left edge. Stay tuned on Phone Radar for more details about the upcoming Redmi 6 Pro smartphone! The post Xiaomi Redmi 6 Pro with Notch Display & Snapdragon 625 SoC Launching on June 25th appeared first on PhoneRadar.